You know it's Crocs in a glance even when you see them moving between hordes of people on a crowded street; that is how unique and innovative this brand of footwear is. Upholding its core molded footwear heritage, Crocs provides a wide range of shoes that are soft, comfortable, lightweight, non-marking and odor-resistant, in all seasons. You can treat your feet to the goodness of this brand, too, while saving money at the same time. How? Just buy them from Zingoy and earn cashback on your shopping. 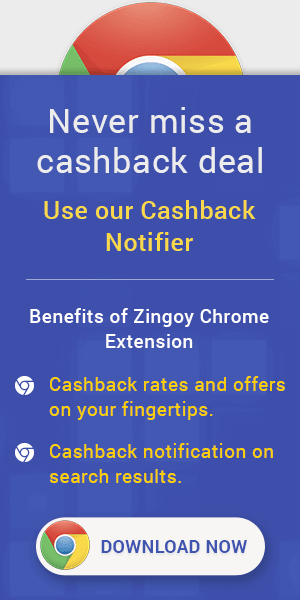 You can also share your Zingoy links for Crocs with friends and family and earn more cashback, if they purchase using your links. Also, grab the latest Crocs offers and deals right here. Now buy Crocs Footwear & get Free Marvel Superhero Bottle on purchase. Offer is applicable on purchase of every Avengers Crocs collections on landing page. Crocs Cashback Sale : Now shop Crocs Footwear from Wedges, Sneakers, Slides, Shoes, Sandals, Loafers, Heels, Flips, Flats, Clogs, Boots & more. Coupon code is not required. Crocs Promo Codes : Upto 50% + Extra 10% Off on Crocs Footwear. Now shop for wedge, sneaker, slide, shoe, sandal, loafer, heel, flip, flat, clog, boot from crocs online and avail up to 50% discount. Pair the Crocs Crocband Clog that comes in pretty pastel shades of raspberry and white with a colour-coordinated button-down shirt and white pleated skirt. Now buy Crocs Flip flops for Women's from Rs.1495 only & get up to 50% discount. Pair the Crocs Athens II oyster/red flip with your most rugged jeans for a look that says casual and stylish. Thrown on a patchwork denim jacket to up the style quotient. Thought flip flops can’t exist in a boardroom environment? Let us bust that myth for you. The Crocs Sexi Leopard Print W Gold Flip is just what you need to go along with that formal shirt-and-skirt combo. Printed tee and shorts will go just right with the Crocs Sloane Platform W Raspberry Flip that will make your evenings out with friends all the more fashionable. Up your denim-on-denim look and give it a fashionable edge with the Crocs Isabella T-Strap Coral Sandal. The refreshing coral colour will give a definite pop to your outfit. • Animal print lover? Make Friday dressing more fun by pairing that solid-coloured playsuit with the Crocs Sarah Leopard W Black Sandal. Give your flirty date dress a charming edge with the floral printed Crocs Lina Luxe Black/Plum Flat. If it is a party you need to attend, then the Crocs Lina Shiny Oyster/Black Flat is the only accessory you need. And for nothing could suit workwear better than the Crocs Alice Work Black Flat—simple and professionally elegant. Crocs Cashback Offers & Coupons : Hit the road in style with the superb collection of Wedges and Heels from Crocs. Make the most of your time during your walks in summer. Look your best and sport the best heeled shoe from Crocs. Choose your favourite colour from an array of heeled greys, pinks, browns, blacks and lavender. Premium leather is used in Crocs heeled footwear and these also have footbed nubs that offer a massage like feel. Look gorgeous in slacks or skirts, with a perfect match of footwear from Crocs. Give your inner soul a casual break. Roam your feet around doing things that you love to, go window-shopping, visit cafés or do some strolling. Crocs Loafers are cool, comfortable, light-weight and are available in vibrant colours. These offer easy on and off slip off style and ports on the side for your feet to breathe free. These loafers are easily stretchable and also offer crosslite material for great comfort and cushion feel. So browse online at the Crocs outlet to make some cool and comfy footwear choices in Loafers. Crocs Cashback Offers : For a fashion-conscious gent, these versatile and stylish Crocs loafers for men are a must-have in the shoe cabinet, ready to be flaunted at any occasion. The Crocs loafers for men come in soothing colours of beige, blue, and khaki, as well as classics such as black and brown. Need a reason to wear these stylish loafers for men? Let us give you some. For a casual setting: The Crocs CitiLane Roka Slip-on M Flame/White Shoe and Crocs Kinsale Lace-up Black/Pearl White Shoe will have heads turn no matter where you go. In a formal environment: You just cannot go wrong with the Crocs Kinsale Lace-up Tumbleweed/Stucco Shoe or Crocs Shaw Boat Shoe M Espresso/Black Shoe. Feet odour issues, too, will be a thing of the past as the Crocs clogs for men are odour-resistant, easy to clean, and quick to dry—the ventilation ports making it easy for sludge and clinging debris to drain away. Lightweight and water-friendly, these clogs for men will serve you for any occasion, the heel strap allowing for a secure grip no matter what the activity. Easy to slip into and out of, the vibrant yet relaxed vibes that the Crocs flip flops for men give off is just what you need when you wish to take a work from the piling workload on your office desk. Available in neutral colours and some inspired by sneakers, these men’s flip flops will suit every and any mood of yours. Girls want to have fun too. Check out a superb collection of Clogs for girls. From blues, pinks, reds to many other colour choices. Make your choice soon, and feel happy and comfortable. Girls are precious and so are their little feet. Walk safely and in style by picking Clogs from Crocs. Wear it, show it off to your close girl friends. Make sure your footwear is rare and different from your friends. Look sweet and beautiful with clogs from Crocs. Step up and jump in style! Imagine if those little feet that flip flop here and there get some added colour and fun. Crocs make it possible with the numerous colourful, vibrant girls flip flops. Let those little feet of your little angel stand out among the rest. Add some colour to her fun-filled times with some funky, colourful Flip flops from Crocs. Match up her cute little dress with a cuter pair of flip flops. Soon she will have a fan following of her own. Crocs flip flops inspires those little feet to step up , dance and flutter in style and color. Just like girls, boys do want to have a lot of fun. Check out a superb collection of Clogs by Crocs for boys. From blues, greens, reds to many other colors try and pick your favourite one. Make your choice soon, and take some happy steps during game times. Little boys are special and so are their feet that jump, stumble and fall too. Walk safely and in style by picking Clogs from Crocs. Make sure your footwear is rare and different from your friends. Look different with clogs from Crocs. Step up and jump in style! Let those naughty feet that zoom here and there get some added colour and fun. Crocs make it possible for boys to have great fun with colorful, vibrant and covered sandals. Match up his shirt and trousers with a colorful pair of sandals. Soon he will have his own fan following among friends. Make his times of play more fun-filled with some funky sandals from Crocs. Crocs Sandals inspires boys to step up, dance and flutter in style and color. Now buy Crocs Rainy Shoes from Rs.795 only and get up to 50% discount. Shop from wide range of products at best price.